Quantum Nerea is an IP Multicodec in a 3U rack, which can house up to 14 IP audio modules codecs over IP. Quantum multicodecs offer the possibility of extending the number of audio signals provided by a single Quantum codec, inheriting all its key features such as its widest range of audio compression modes, stability, flexibility and easiness to use. Each Quantum module has two Ethernet ports allowing bandwidth aggregation (Bonding) and redundant transmission (Diversity). 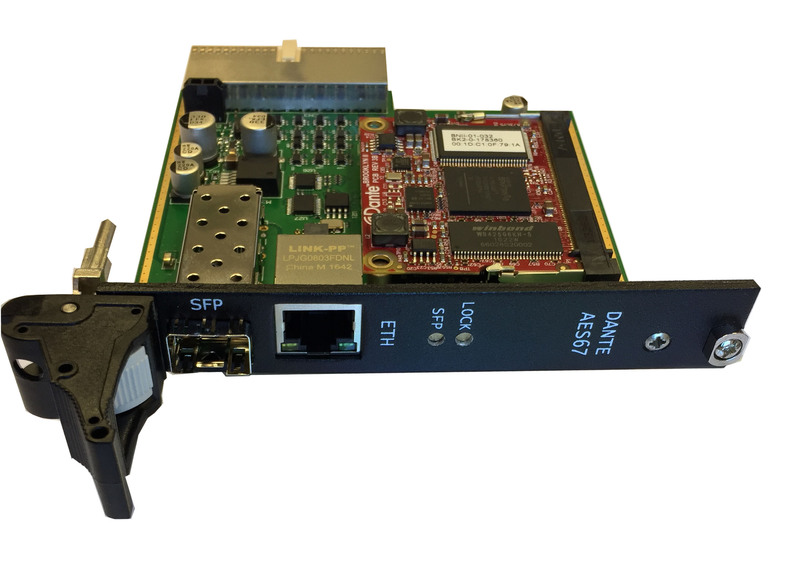 A third Ehernet port is used to support individual remote control of each audio module via embedded web server or centralised management via ProdysControlPlus. Configurable and scalable system : Up to 14 IP modules. Cards can be hot swapped for servicing or maintenance. Bonding and Diversity enables streaming of STL-grade audio quality over inexpensive links. Optional Dante/AES67 module to provide an interface for uncompressed digital audio in a single Ethernet cable. Up to One user configurable general purpose input-output (GPIO). The input can be set up to control audio inputs or reset alarms, and the output can be configured to monitor different parameters. 15 way D type connector electronically balanced. 2 x 10/100BaseTx Ethernet, connector RJ45. Width: 483 mm; Height: 133,4 mm (3U); Depth: 363 mm.